Refresh your home and get inspired. Fun ideas to inspire you. Tips and tricks from a builder. One homeowner’s true story told through photos. A quick guide to get you started. The Right Style. They say, “form follows function.” Let’s take a look at appearance. 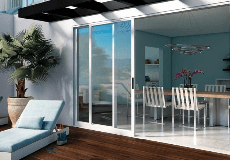 How to Compare Milgard Windows and Patio Doors: Which Series is Right for Me? Finding the right window or patio door for your home can be confusing. We can help.